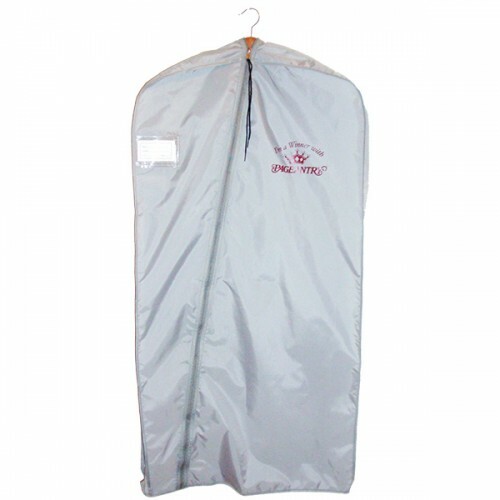 What better way to protect that gown you bought from the Pageantry and PromTime Online Boutique than with Pageantry's full length 65" Nylon Gown Bag. 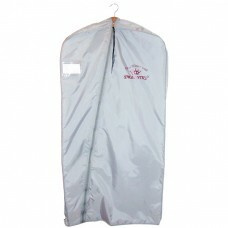 Built in name and address label, zipper, and top opening for a hanger. Metallic grey with burgundy lettering.